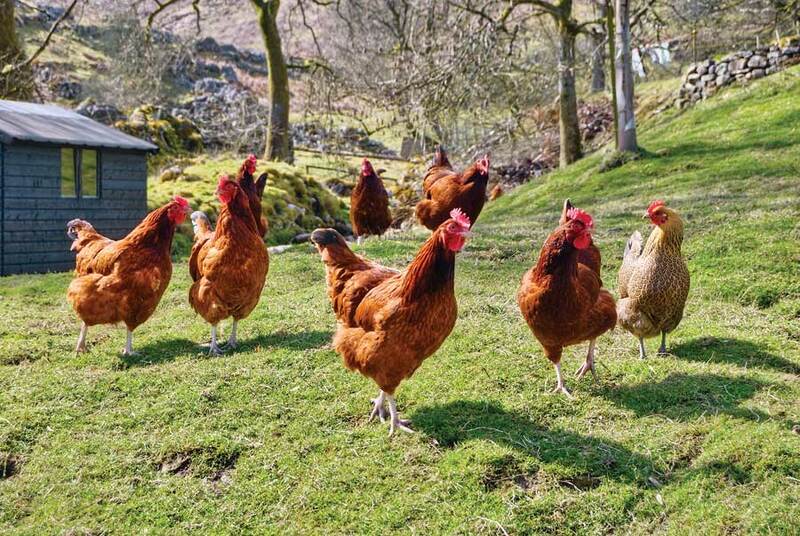 In recent years protein has become a very popular commodity, both domestically and abroad. 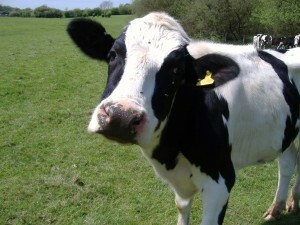 Consequently, the cost of protein has increased dramatically and will most likely continue this upward trend. Much has been written about identifying foods that are high in protein, however this article is written for the prudent consumer searching for the best value. I searched both local (Wisconsin) grocery stores and on-line sites to find the least expensive source for protein rich foods. I then compared these foods to determine the cost/pound (454 grams) of protein for each food item. Both vegan and animal protein sources are presented for comparison. This project does not examine the cost per pound of each food item, instead it compares the cost per pound of protein contained in each food. For example: Food Item A is $10.00/pound. The percentage of protein in Food Item A is 50 %. The cost/pound of protein for Food Item A is $20.00. 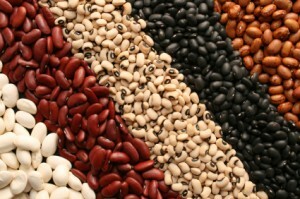 Although plant containing proteins may have drawbacks compared to animal proteins, including inferior amino acid profiles and reduced digestibility (1, 2) beans have the added health benefits of being rich in fiber and phytonutrients. (3) The best priced beans were of the pinto variety and came in 20lb bags from Amazon I found other varieties of beans at only slightly higher prices at my local grocer in 1 lb bags. Cooking dried beans is a time intensive process so I included cooked canned beans in my comparison, which still offered a reasonable value, but can’t compare to the value of dried beans. The second most reasonable food source was skim milk. Caesin and Whey are the two classes of milk protein, both of which are high quality and easily digestible. (4) Living in Wisconsin, I was able to find unbelievable prices on milk and paid $2.18 for a gallon of bagged milk from Kwik Trip Convenience Stores. Those not living in a major dairy state may find the price of milk considerably higher so I included the average national milk price of $3.67. 5 Cheese and yogurt were also compared but cheese was too pricey to make the list and even the least expensive yogurt was three times the cost of skim milk. Similar to milk, Wisconsin has some pretty incredible prices on eggs. At Woodman’s Grocery I found a dozen large eggs for $1.10 which put eggs in a solid third place. However, the national average for eggs is double this price at $2.20 6 and I have included eggs at this price in the comparison separately. I compared beef, chicken and fish and found boneless skinless chicken breast the best value for protein. Both fresh and frozen chicken breasts were a $1.99 per pound at Madison grocery stores. I also found hamburger (beef) for a $1.99 a pound, but its protein content was less than the leaner chicken breast. Tilapia was the best fish value. There is an expression “for the price of peanuts” that suggests peanuts are cheap and when comparing different nuts I found this to be the case. 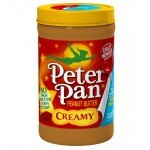 Peter Pan peanut butter on Amazon came in 5th on the list. Individually shelled peanuts and sunflower seeds also made the list. There are many forms of commercially available concentrated dried protein powders. Protein powders have the advantage of being convenient and offer extremely high protein concentrations. I compared egg, whey, casein, soy, hemp, and pea. Several of these forms were too expensive to even make the list. 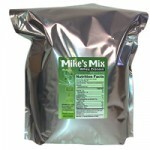 Of the proteins I compared, whey was the best value with online prices and a 6 lb bag of Mike’s Mix Natural, Unflavored Protein topped the list. The best value on a flavored whey was made by Body Fortress in a 2lb tub. Let’s get a discussion going about this. Are there other protein sources that should have been included? Are you aware of lower prices than what was included? Anything that should have been examined to make this a more accurate comparison? Great post Mike! Why didn’t you include mushrooms as a source? I’ve always thought they were high in protien. Hey Rose, hold on to your hat. $4.00 a pound was the lowest price I could find on button mushrooms. A pound of mushrooms has 13 grams of protein and therefore you would need 35 pounds of mushrooms to obtain a pound of protein. The result = $140.00 for a pound of protein obtained from mushrooms. It’s unclear to me whether your calculations consider the usable protein (grams) in the food item, or if you are just using the label cost per unit mass. For instance, I know that 2 oz (cooked) of flank steak (~56g total mass) will deliver 14.7g protein per the label. Thus, not all of the mass is usable protein for considering macronutrient intake. The thread about mushrooms suggests you consider this translation in your calculation. However, I only glanced at the lean beef one and I am confused on how you executed the calculations. If it’s $13.69 for 454g of hamburger protein, which you bought at $1.99/lb, then this means you bought 6.879 lbs of beef to get the 454g protein and each lb of beef has ~68g usable protein, and this sounds about right. Confirm I am mastering the obvious and this is how you did all the calcs. Also, consider that in order to achieve a fairly precise macronutrient intake, one must weigh the COOKED food. Clearly, there is a decrease in mass when you cook meats. If you are planning on getting (8) 4 oz. servings from your 2 lb pack of steak, you will be both disappointed and hungry. Many know this, but miss this critical linkage if/when trying to purchase food to fulfill a meal plan that spans days or weeks. Your meal prep then becomes an epic failure because you are short on some items and have a surplus of others, sending you back to the store mid-week or at any other unplanned time, thus undermining one of the purposes of high-volume food preparation. I prepare food in bulk and freeze, so finding and using a simple multiplicative factor to predict cooked weight from raw weight is critical. Using a simple factor of 0.65, I accomplish this fairly well. If you bake your tilapia too long, you will have bone-dry tilapia and that factor changes. Fatty steaks will probably drop more weight than lean ones, too. This varies from meat to meat and also by how well you cook it, of course. So this means that is I want 6.5 lbs of cooked flank steak, I buy 10 lbs (10 x 0.65 = 6.5 remaining after cooking). I use a firm meal plan, as I believe you only get random results with random inputs. I use a spreadsheet based on my meal plan to predict the meats I must buy. The sheet also considers how many servings I still have on hand, in the event I did not consume everything from the last cook cycle. Just a thought for those who are serious about streamlining food ops and significantly decreasing meal prep time by preparing in quantity. Really appreciate your thoughts and wisdom in food preparation. You are correct in the assumptions on my calculations. To take the hamburger example in detail: A pound of ground beef (75% lean)(there are several different grades of hamburger that vary in price and lean mass, the best cost per gram of protein that I found was with 75% lean at $1.99 per pound raw)uncooked was $1.99 at my local grocer. A pound of uncooked 75% lean hamburger has 66 grams of protein (USDA analysis) therefore one would have to purchase 6.88 pounds of hamburger to attain 1 pound (454 grams) of protein. At $1.99 a pound this comes out to $13.69 for a pound of protein obtained from hamburger (1.99*6.88=13.69). I am excited to test your ratio for cooking meat. I understand how this would be invaluable when determining nutritional content when weighing pre-made cooked meats. Like Matt, I am a huge proponent of pre-made meals and never make a single serving when cooking any meal. If find this to be the only way to consistently and frequently eat healthy nutritious meals with finite time allotted to food preparation.